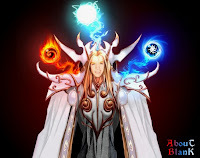 Invoker is different from another hero. He needs to combine Quas, Wex, and Exort to create an ability. He have 10 abilities in total. If you can maximize the usage of all your abilities, you become a god because his abilities are all destuctive. The player of this hero needs a faster hand. You need to invoke a skill quickly and use the right combo in every situation. 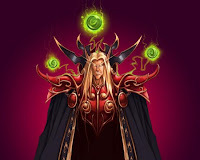 This skill is for defensive-support type invoker which focuses on survivability. If you prefer defense to offense, increase this skill. This skill is for attacking type invoker, you can combined it with Wex for Meteor, or you can Combine it with Quas for Forge Spirit. Your skill to create spells. Think carefully before creating a spell, try to match spell with situation. This skill is a very nice chasing spell. This will make your target get mini-stunned for every damage he received. This is a flexible skill, you can combo this skill to any damage, attack or spells. Great to combo this with skill that an ability that damaging enemies gradually for seconds like Meteor or Poisonous skills from Venomancer. Very good skill. Can be used in many conditions. 1. Combo with EMP, This skill first and then EMP second. It will make EMP hit perfectly to the target. To drain enemy;s mana _ damaging the enemy. Invoker builds up a charge of electromagnetic energy at a targeted location which automatically detonates after a duration based on the level of Wex. The detonation covers an area, draining mana based on the level of Wex. Deals damage for each point of mana drained. It will drain your enemy's mana . Use this skill before teamfight start to make your enemy can't .use their Abilities. Will helps the carry of your team become faster in attack speed and higher in attack damage. Powerful support for single alliy. Very powerful nuke that attacks large area. Very nice skill in a crowded teamfight. Global skill but small area which needs precision to get the damage. Hard to use, it will be easier if your friend stuns the target first. Call an army , or two, of powerful creature which it's attack will reduce enemy's armor. Call this creature before teamfight starts. Skill invokes if Kael has 1 Quas, 1 Wex and 1 Exort instances. Invoker unleashes a mighty sonic wave in front of him, dealing up to 280 damage to any enemy unit it collides with based on Exort. The sheer impact from the blast is enough to knock those enemy units back for a maximum of 1.75 seconds based on Quas, in addition to preventing their attacks for a further 1-4 seconds based on Wex. This skill is a nice disabler ability. Use this skill in the beginning of teamfight followed by your other skill like Chaos Meteor to create a good combo. The primary combo is EMP + Tornado. The EMP will drain the enemy's mana before the teamfight starts. And the Tornado will damaging the enemey and also preparing a setup for a good teamfight. Ghost Walk is needed to escape. And coldsnap is needed to Chase the enemy. This build have the highest movement speed because of the high Wex. This build have the high survivability because of high HP gain from Quas. With this build you will have your forged spirit accompany you all the time. And also maybe with the additional Necronomicon for maximum dps. Coldsnap and Forge Spirit will be your primary spells to fight the enemy. The advantage of this build is the easy to use. With the tons amounts of DPS from forge spirit and Necronomicon. Invoker usually choose the mid lane. 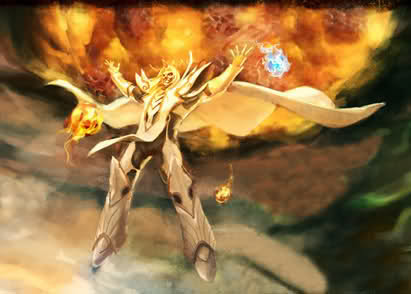 It is because of the need for fast leveling because if Invoker can become the higher level than the opponent, he can easily kill the opponent. On early game beware of enemy's gank. Your team needs ward. Ask your support to provide you the ward. 5. You can use the coldsnap to chase + harass the running away enemy. 4. and then use Chaos Meteor. 5. And then go near your opponent and cast ice Wall. 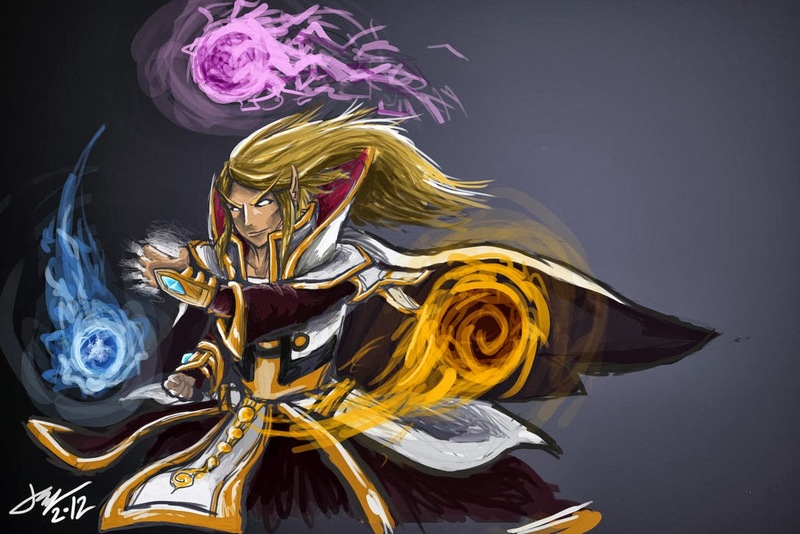 The main idea of invoker is to maxing you hand speed, with a full-speed hand, you can use Invoker in it's maximum potential. Why Phase Boots? +Decent amount of Damage and +Decent amount of Movement Speed. Active: Soul Burn - Silences target unit for 5.0 seconds and amplifies the damage it takes by 30.0%. Why Orchid? This is your core item. You need this to land a perfect combo > Silence + EMP + Coldsnap that will easyly kill a target. Also add damage and attack speed. Why Force Staff? ForceStaff is useful on many purposes, you can initiate a teamfight with ForceStaff, or you can save somebody with it. It will decrease your invoke's cooldown, that means that you can use more skill in the sama time. Good Damage. It will give you 100% hit rate although you are on the lower ground. Why Hand of Midas? It will boost your golds and exp. Here you will think of the long term plan. so you can easily get all of your items because of the gold boost. And also you will faster increasing your level. Additionally it also gives additional attack speed for physical damage. Have Waveform to be combined with Your Skills. He also have high damage to finish enemies. This hero love to sneak into the middle of chaos and kill everybody inside the chaos. Because your skill is full of chaotic form, this hero is a match for you. wow your comic is so great, thanks i dont know how to repay you, I pray to god for your wealthy and healthiness, thanks! wow you have lots of good stuffs. ill be glad to share it again, thanks. 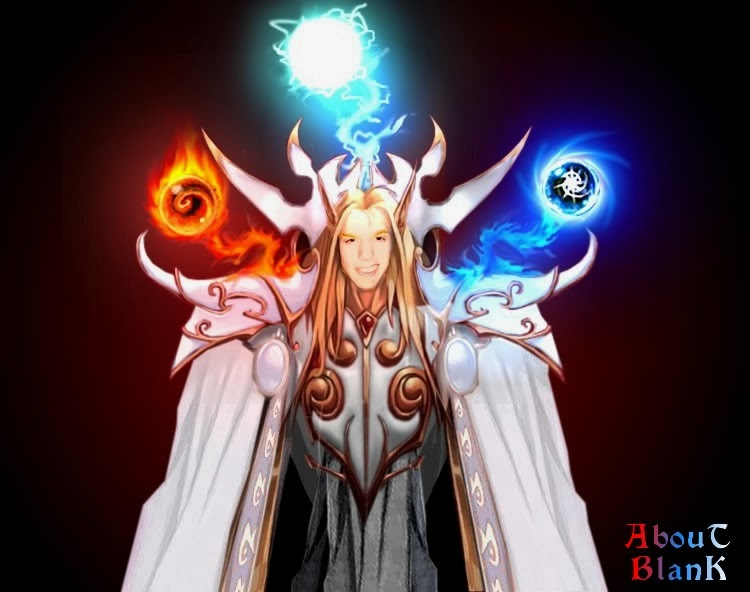 If you ever tried to play the Invoker - you know that it is not so easy to learn all his abilities. The base element combinations to invoke, the dependencies between elements and ability attributes - a lot of stuff to remember. Also you can be interested - how many damage can be provided on particular hero level by different ability combinations. Press the "?" button, set the desired level in one click and play with elements. You can level up core skills by clicking on them or simply press "Q", "W", "E" to level up elements and "R" to level up Invoke like it is in the game. Allowed abilities become colorful and you can get detailed information about them by tooltips. You can hold mouse over any ability and update the elements using keyboard to see how ability parameters evolve on the fly. Also you can fit any items to see how they update the Invoker characteristics as it is the common for all heroes feature. Invoker is my most hated hero in DOTA 1. But in DOTA 2 he is my top pick if PUDGE is already choosen by other players.